This page is designed for health care providers who are interested in learning more about HopeWay. Whether you have current clients who would benefit from treatment, or you are trying to establish a broad list of resources for future potential clients, we are more than happy to work with you. How does HopeWay work with local and national community providers? With the client's permission, release any other relevant information to you at the time of discharge to enhance your ability to continue focusing on gains made during treatment at HopeWay. Our Aftercare Specialist works with all of our clients to ensure he or she has the supports necessary to sustain and enhance treatment progress when they leave HopeWay. This includes setting up initial aftercare appointments. If a client did not have a provider prior to receiving treatment at HopeWay, we will connect him/her to providers who have the expertise and services that best meet the client's needs. We encourage community providers to meet with our Outreach Specialists so that we can better understand your area(s) of expertise, the array of services you provide, and your availability. Do you have someone you would like to refer to us? Contact our Admissions team at 1-888-859-2106 or Admissions@HopeWayFoundation.org. 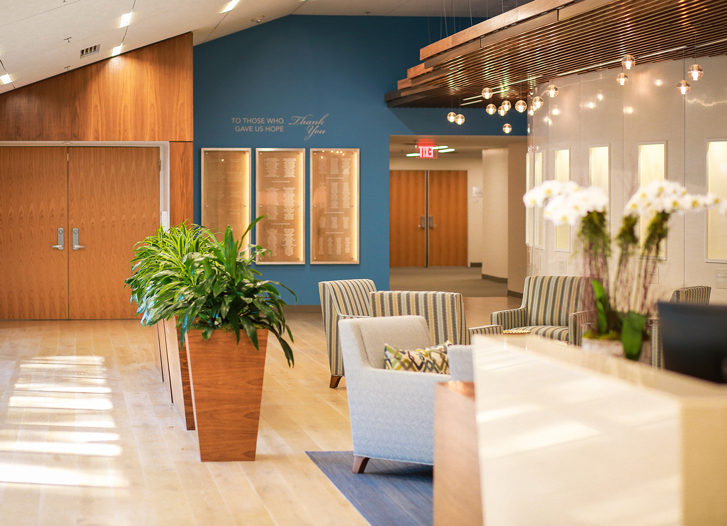 They can answer any questions you may have about the admissions process, the facility, and the treatment we provide. Our Admissions page includes our client handbook, a sample schedule for all levels of treatment, and a FAQ document. Interested in speaking or meeting with one of our Outreach Specialists? Beth Murgitroyd works Raleigh and surrounding areas. Karen Ortiz works Charlotte and surrounding areas. Jocelyn Weiss works Georgia and surrounding areas. Emily Zuyus works Charlotte and surrounding areas. If you're uncertain who your contact would be, we encourage you to contact any one of our Outreach Specialists and they will direct you to the appropriate person. our clients are from 19 different states and 2 countries outside of the U.S. If you would like to discuss any of this further, please contact the Director of Research and Education.